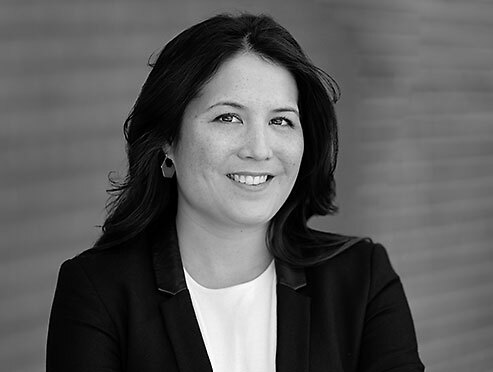 Erinn Mah is the Founder of Hardie Consulting Inc., which provides project development and management consulting services, with a specialization in Indigenous communities and projects. Her project portfolio has included work as Lead Coordinator on a large rail infrastructure project and acting as Chief Operating Officer for EMIC Solutions Inc., which specialized in structuring and sourcing capital for First Nations communities across Canada. Key projects from this role included the financing the acquisition of an oil-asset package from Husky Energy by a Canadian First Nation, the financing and construction of the first Loblaws Grocery Store and Pharmasave on reserve, and the financing and construction of several cross-laminated timber housing developments on reserve. ~$300million in financing was placed with Indigenous groups under her leadership. Erinn holds a Masters in Public Administration from the University of Manitoba, a BA degree in Political Science and Gender Studies from the University of British Columbia, is a candidate for the Certified Management Consulting designation and has served on the Board of Directors for the Manitoba Cardiac Institute (Reh-Fit Centre). She recently moved back to Kelowna after living in Ontario and Manitoba in order to enjoy the work-life integrated lifestyle of the Okanagan, the tight-knit community, and the surrounding natural beauty.